Street Child World Cup is a global campaign for street children to receive the protection and opportunities that all children deserve. The aim of the game is to challenge the negative perceptions and treatment of street children. 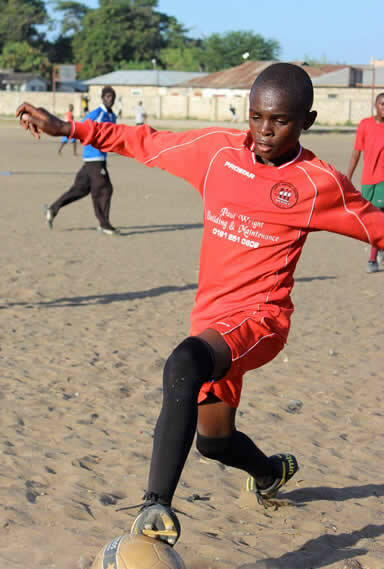 On 28th March 2014, ahead of the FIFA World Cup, the second-ever Street Child World Cup will take place in Rio de Janeiro, Brazil, uniting teams of street children from up to 20 countries, drawing from a network of outstanding projects all campaigning for the rights of street children. Action for Children in Conflict (AfCiC), Thika, in partnership with Glad’s House Mombasa, has formed Team Kenya which will represent the country in Brazil. The team is currently in the training camp in Mombasa before leaving for Brazil on 22nd March 2013. The issue of street children in Kenya is a major problem, affecting both social and economic development in the country. Therefore, it is a golden opportunity as organizations and as a country, to highlight and champion for the rights of children living on the streets. Team Kenya is unique from other teams with one of the player being hearing impaired. 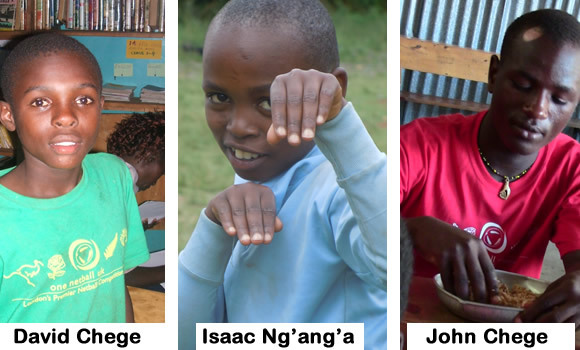 John Chege, 17 years old, is a Form 1 student at Reverend Muhoro High School. All the other players, just like in the other teams were once street boys. Other players from AfCiC are David Chege and Isaac Ng’ang’a. As Action for Children in Conflict and Glad’s House, we are very proud to be associated with the Street Child World Cup since it is within our call to advocate and promote the rights of street children. At the end of the World Cup the winning country will take the trophy home and Kenya is sure destined to win. Hobbies: Playing football,listening to music. He would like to be a professional footballer when he grows up. Hobbies: Playing football, listening to music and watching movies and football games of his favourite player. He would like to be a footballer when he grows up.